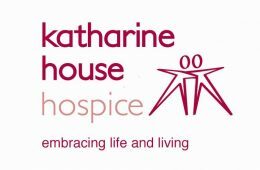 Providing free specialist palliative care through a range of services to the people of Mid Staffordshire since 1989, Katharine House Hospice exists to offer the best care so that people in our community, affected by progressive illnesses, can live life to the full. Primarily a voluntary organisation, we are supported by donations from the local community and the services of over 600 volunteers and 230 staff. We are seeking a highly effective individual to bring exceptional operational leadership to our retail activities. You will be responsible, with the board of directors, for taking this very innovative retail operation forward. This is an exciting opportunity for either experienced or developing senior retail managers to help support people at the end of their lives across mid-Staffordshire. The current 22 retail outlets contribute £1m revenues per annum to support the work of the hospice and your abilities will add to the contributions our retail department makes. You will need a strong understanding of retail management and a track record of achieving targets in charitable retail would be highly desirable. Knowledge and experience of recycling would also be desirable. You will lead and motivate the retail team working with non-executive Retail Directors, and as a member of our Executive Team will attend Trustee Board Meetings.